Triggered emails allow you to immediately communicate with your patrons in response to actions and data in Tessitura. Use dynamic List Manager lists in Tessitura to define who should (and shouldn’t) receive your campaigns. WordFly will automatically send personalized welcome emails, reminders, membership confirmations or expiration warnings and more. As with other standard campaigns you should plan to test your list and email template personalization. Be sure to review the FAQs section in this support post as well for the most common questions/answers about Triggered Campaigns. We've put together a few examples of Tessitura Triggered Campaigns you might want to try. Visit these support posts to learn more! This post will illustrate these three steps by walking through the process of creating a Tessitura Triggered Campaign in WordFly. Be sure to review the FAQs section in this support post for the most common questions/answers about Triggered Campaigns. Only List Manager lists in Tessitura that are marked with the TMS checkbox can be used in WordFly. Select the Dynamic checkbox for the List Manager list for the list to update/generate with the latest subscribers at the time WordFly imports the list from Tessitura. Under the Select promotion attributes step be sure to select an appeal, media, and source group. These selections are required for email response data to update in Tessitura. 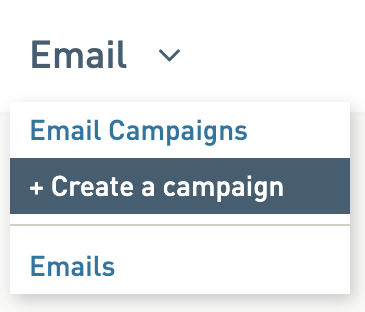 You can test your triggered campaigns lists to see if your list criteria in Tessitura is set up correctly to pull in the right subscribers. These pointers should help you iron out any kinks before activating the triggered campaign. If you're primarily concerned with the list that gets generated then you can test your dynamic List Manager list in Test Tessitura to confirm that the correct subscribers are imported into the list. Start with some basic criteria. You can test your dynamic List Manager list in Live Tessitura without importing into WordFly, just run the list right in Tessitura and review the results. If you're going to be sending performance reminders you might also set up dummy performances that are not available to the website, purchase tickets against the dummy performances and then confirm that your dynamic List Manager list in Tessitura pulls the correct subscriber list. Your list will be run in Tessitura but promotion records won’t be created. Check to see if the list was generated in Tessitura and if it contains any subscribers. If the list ran but there were no subscribers that met the criteria that might be why the campaign never sent but remains scheduled to send. Check the Output Set used by this Campaign. If the Output Set doesn't have any fields defined then the Triggered Campaign will still run every day but when it runs the list in Tessitura the empty Output Set causes the import to fail. Once the Output Set is fixed up it should work as expected. Was the output set duplicated in Tessitura? Duplicated output sets need criteria added again. Please review the output set. Is the list still available to WordFly in Tessitura? Check to make sure the list still has the TMS box selected and the correct control group is selected. Did the list fail to regenerate? Check to make sure the list in Tessitura has the dynamic checkbox checked. Are sources generated with each list import? Yes, every time WordFly fetches the list every subscriber who meets the list criteria will receive a promotion and source for the list import. If you selected “Only once” in WordFly and a subscriber met the list criteria every time the campaign ran, WordFly would only send the campaign to them once, but they would have a source code for every time the campaign runs. You may consider suppressing subscribers with previous promotions if you those subscribers won't be imported again, this is typical for a Welcome email series.